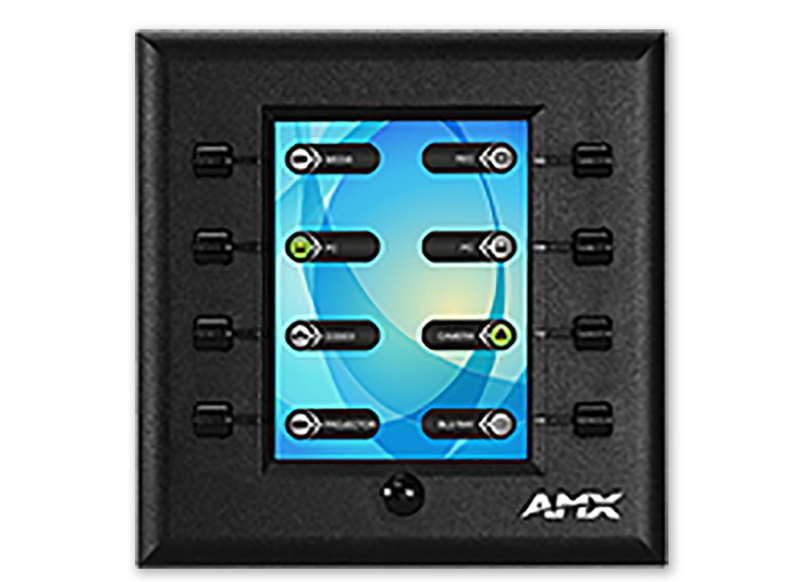 Wall Controllers are stand-alone, dual-gang IP controllers that send commands to multiple IP clients with the push of a button. 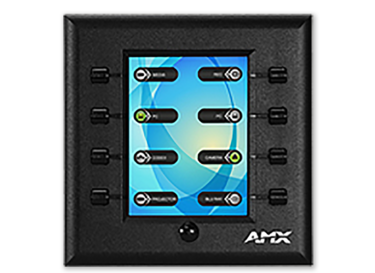 N-Series Controllers have nine programmable tactile buttons with a 240 x 320 display. Programming is done individually through the built-in web-server or collectively to multiple units using N-Command Control Appliances. Multi-page custom graphics can be created using Panel Builder software, stored internally, and launched at start-up or at the push of a button. The SC-TC-D comes with a capacitive touch display and built-in WiFi and Bluetooth for expanding control to mobile devices. Power and Data Connection 8-wire RJ45 female Power over Ethernet (PoE)/100Base-T connector. Conforms to IEEE 802.3af Class 3 (802.3at Type 1). See Data Sheet for details. WiFi Internal 2.4Ghz 802.11g wireless access point (optionally bridged to the wired connection). See Data Sheet for details. Bluetooth Bluetooth V4.0 Low Energy (BLE) - Beacon Service only. See Data Sheet for details. Interface Eight user-defined tactile buttons, User-defined soft buttons. See Data Sheet for details.